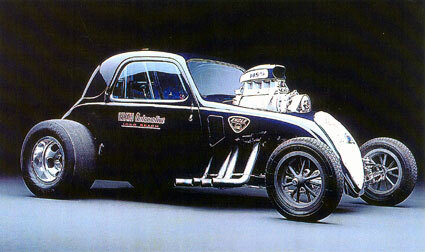 The Ratican-Jackson-Stearns drag racing team was formed in 1958 with the building of a Fiat body A/A coupe. 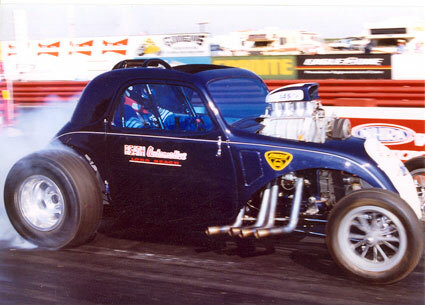 The team was composed of Don Ratican the motor man, Bill Jackson the chassis guy, and Ron Stearns the man behind the wheel. The team members were Hollywood High School pals who graduated the best of friends. 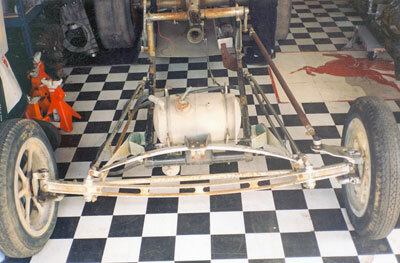 1959 saw the team build a new chassis which was completed in February 1960. 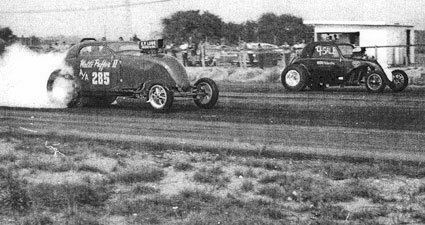 One of the high points in the R-J-S team's career occurred when they ventured to Detroit, Michigan, known today as the U.S. Nationals, at which they scored a tremendous win. 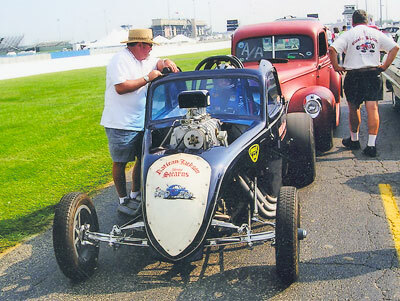 Another pinnacle in the teams brief career occurred when they traveled to the 1961 Indianapolis U.S. Nationals, and won their class for a second year in a row. 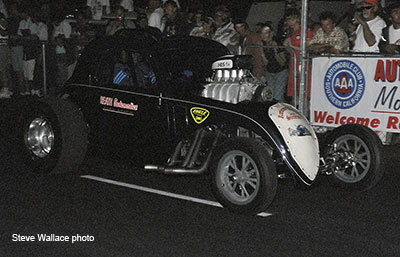 This victory topped all of the teams previous successes which included wins at the World Series of Drag Racing in Cordova, Illinois in 1960 and 61, as well as records set at every track that they raced. The demise of the Ratican-Jackson-Stearns team came in 1961. 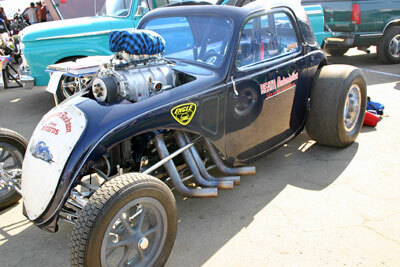 R-J-S- sold their Fiat to Woody Duke of Santa Monica, CA. 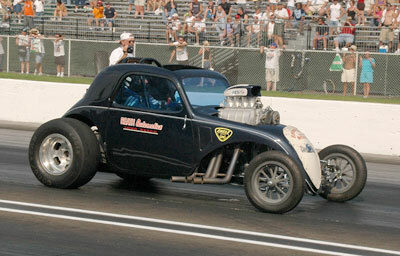 Woody ran the car for eight months. 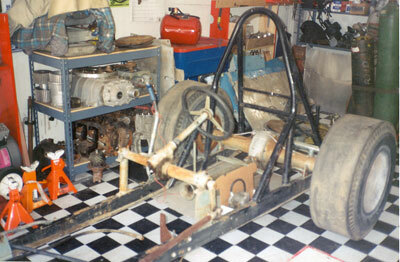 He then parked the old horse in his ivy ridden backyard for thirty years. 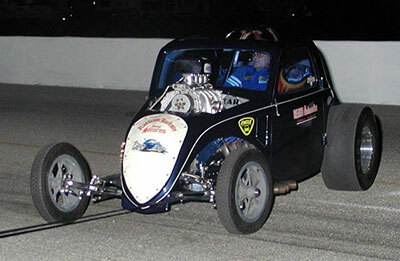 After the team parted ways, Don Ratican continued to build race engines, Bill Jackson continued to build state of the art chassis, and Ron Stearns left racing to pursue other interests. The three pals remained in contact over the years, and they always had an itch to reunite the team and relive past victories. 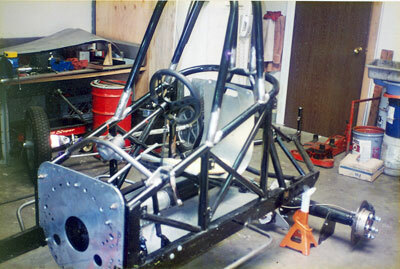 Thirty-two years after putting the old horse out to pasture an opportunity presented itself that would eventually lead to team R-J-S coming out of retirement. 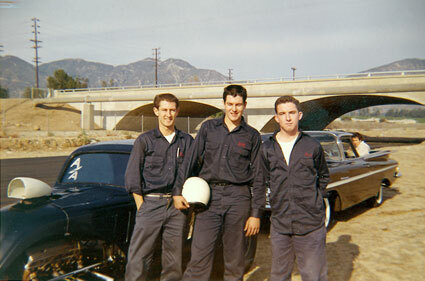 Ron Stearns, Bill Jackson and Don Ratican at San Fernando Dragstrip in 1960. 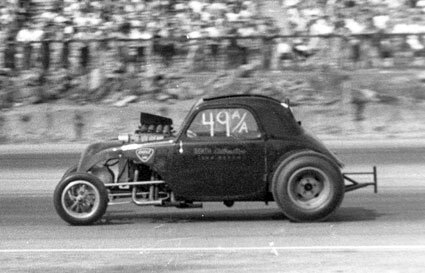 Ron Stearns at Minnesota Dragways in 1960 on their way home from the Nationals in Detroit. 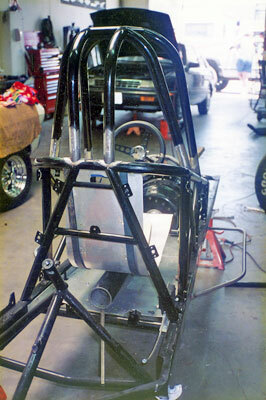 This is a very rare color shot of the car (the only one we have). 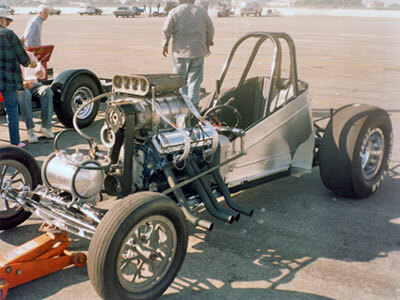 R-J-S at Minnesota Dragways in 1960 on their way home from the Nationals in Detroit. 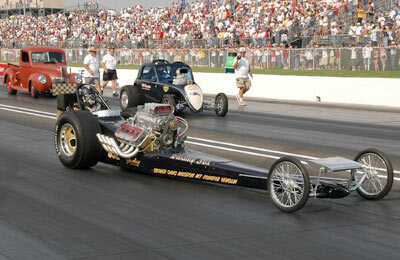 Don Ratican setting the barrel valve prior to a run! 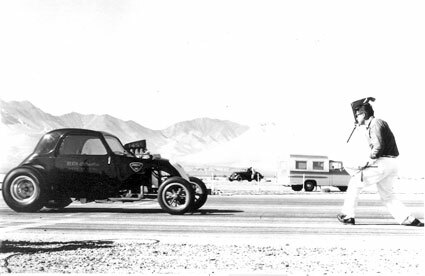 Classic flag start at Inyokern in 1960. 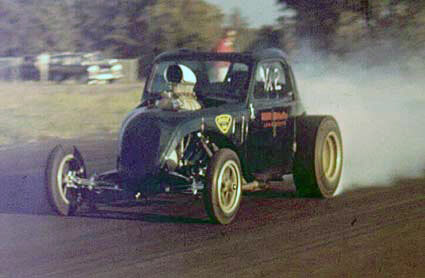 This is a very poor image but probably one of the last ever taken of the car in action at the 1961 Nationals. 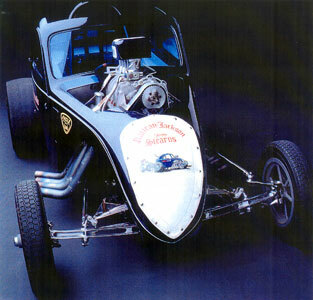 The car was sold in late 1961 to Woody Duke. 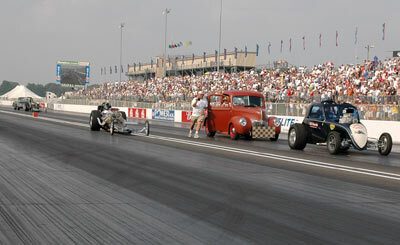 Ratican, Jackson, and Stearns were attending the Second Annual NHRA Hot Rod Reunion in 1993 held in Bakersfield, California. While eating hot dogs, sipping sodas, and reminiscing with other racers; Ratican, Jackson, and Steams saw Woody Duke a few seats over. The four men struck up a conversation during which it was discovered that Woody still owned the Fiat. 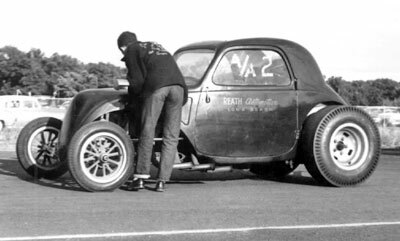 When asked if he would consider selling the car back to them, Woody stated that he still had hopes to restore, and race the car himself. 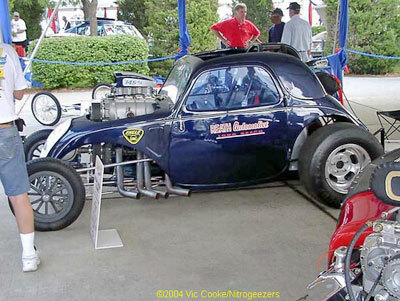 Don Ratican was hired by Woody and together they restored the car. 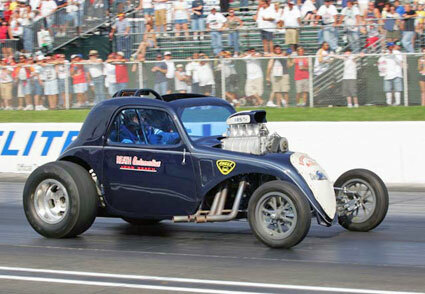 When they were through working on the car, Woody, at the age of eighty-two, raced the car himself. 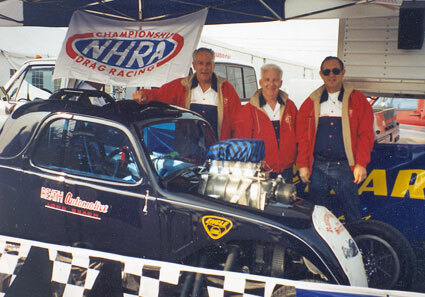 After running the car a few times Woody decided to sell the Fiat back to the retired Ratican-Jackson-Stearns team in the summer of 1995. 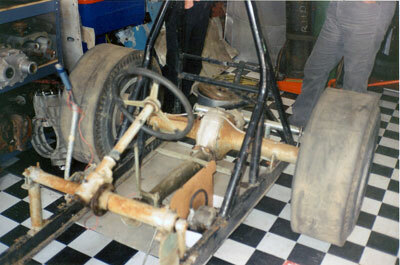 The is what the car looked like after sitting outdoors at Woody Duke's for 32 years. These are the only two shots we have of the actual restoration but you can see that the entire drivers compartment was replaced and obviously updated. 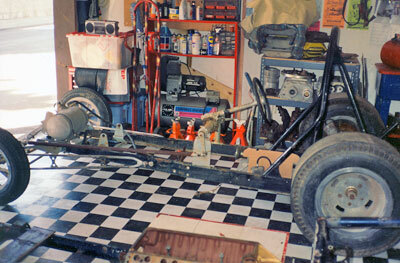 The only shot we have of the car during the period Woody Duke ran it in 1994. 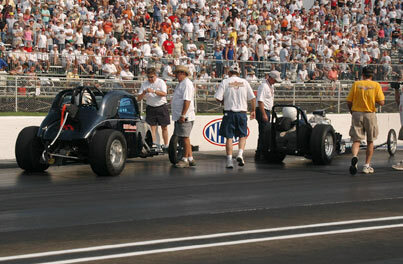 The car was first seen as it is today at the 1996 CHRR with its original owners Ron Stearns, Don Ratican and Bill Jackson. 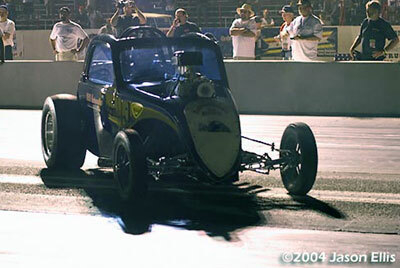 The car made its Cacklefest debut at the 50th US Nationals at Indy in 2004. 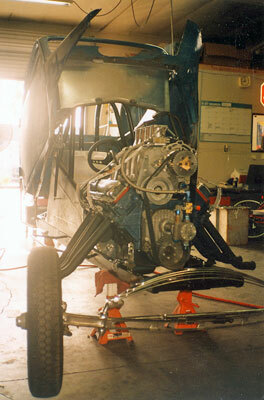 Its next outing was the 2004 California Hot Rod Reunion where Stearns tested out the driveline. 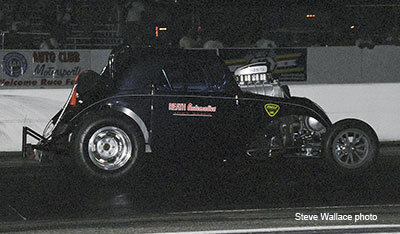 Since 2004 the RJS Fiat has rarely ventured out of its home at the Wally Parks Motorsports Museum but have plans to attend, and cackle, at the 2006 CHRR.